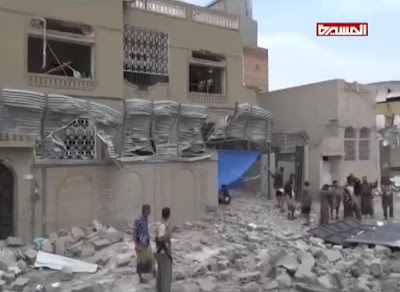 On the 16th July 2015, Saudi airstrikes hit a residential area in the Al-Ansy neighborhood, in the Aser area of Sana'a killing at least one child and wounding several others. 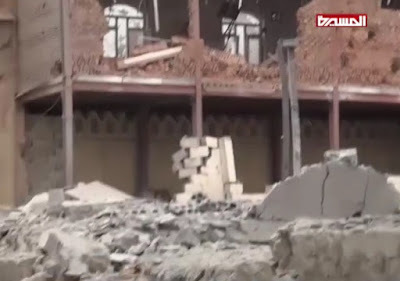 It occured in the hours before the festival of Eid al-Fitr. 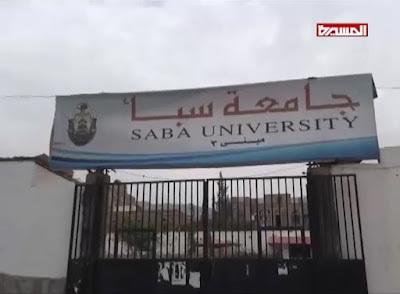 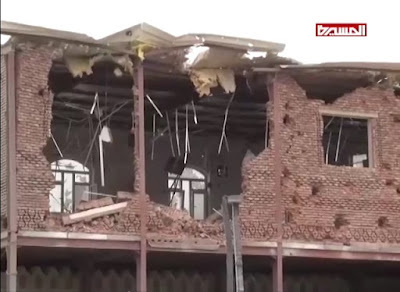 The bombardment targeted civilian houses and the neighbourhood mosque and it also damaged Sabaa University which was in the same area as this raid. 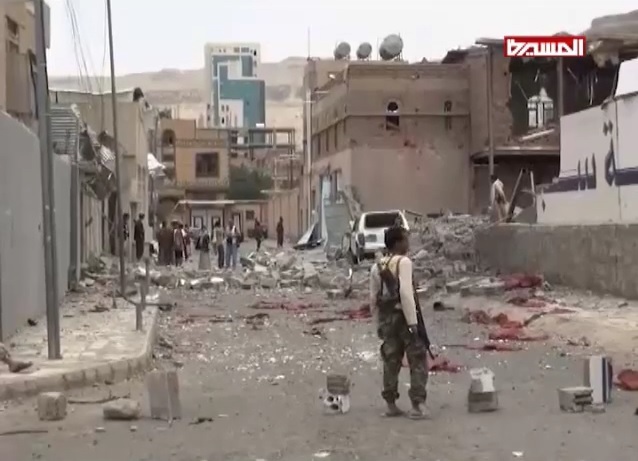 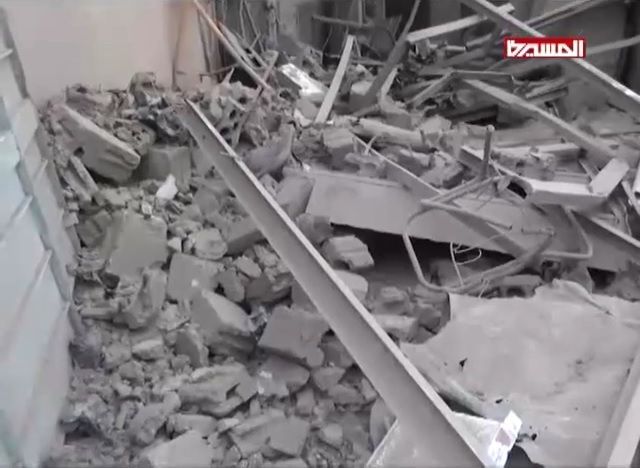 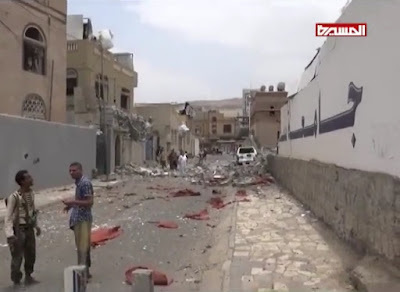 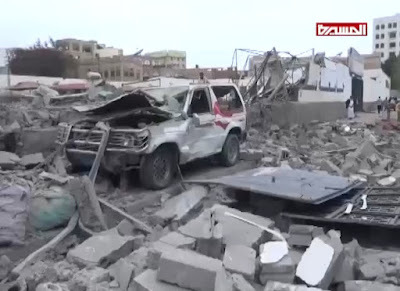 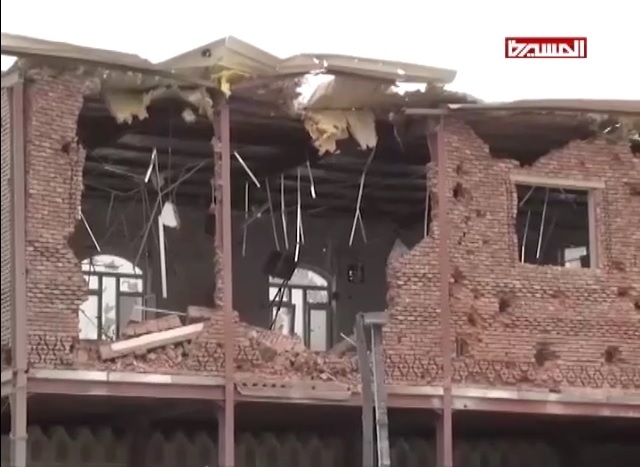 A brief translation of the following video is as follows: The Saudi-led coalition carried out a chain of bombardment a few hours before the start of Eid Al Fitr celebrations in the Al Ansy Area of Aser district in Sanaa, causing a massive destruction to Sabaa University, Al Zahra Mosque and many numbers of homes as well as the perimeter of the Ministry of Foreign Affairs and Al Dina Airbase . 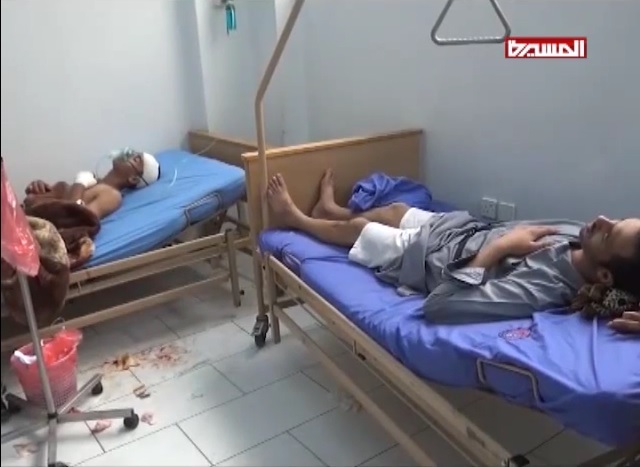 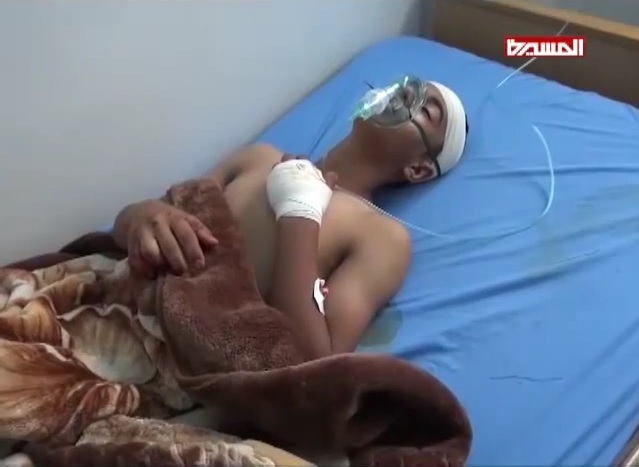 Many civilians are wounded, some are in critical condition. 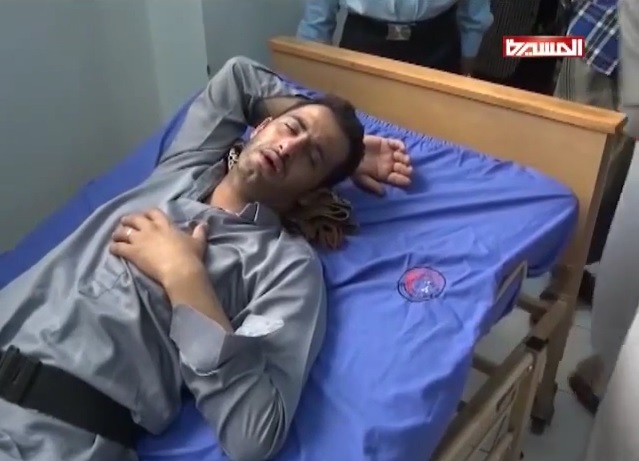 A decapitated child’s body was retrieved. The family is distraught to have to search for their daughter’s head and are in a dilemma whether to bury the headless body or to continue searching and delay the burial. 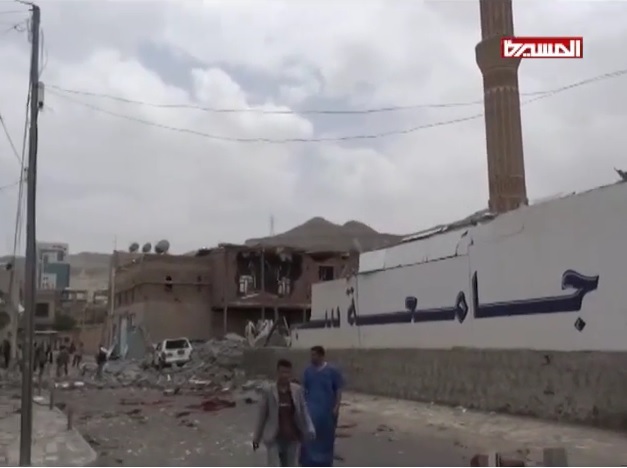 Victims are raising their voices as to why after 100 days of Saudi war against Yemen, the KSA still targets residential neighborhoods and mosques, especially on a special Muslim day of celebration. WARNING: the following video of the incident is graphic and distressing. 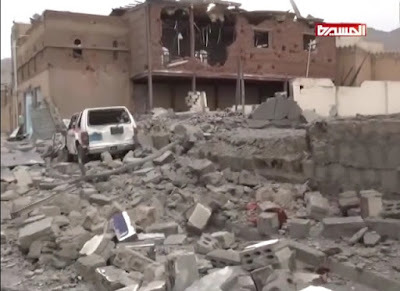 It is put here as evidence of war crimes to call for an independent UN investigation and to call on Western countries to honour the Arms Treaty and stop the supply of weapons to Saudi Arabia.